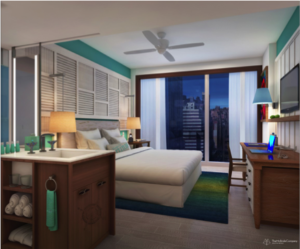 Margaritaville Holdings, the global lifestyle brand synonymous with fun and escapism, today announced it’s building a new Margaritaville Resort in New York City. Located in Times Square at 560 Seventh Avenue, blocks away from the bright lights of the entertainment district and New York’s most popular attractions, the 234-room, 29-story property is expected to open in late 2020. Once complete, the $300 million project will boast several Margaritaville food and beverage concepts, a rooftop LandShark Bar & Grill and pool, retail space and more. 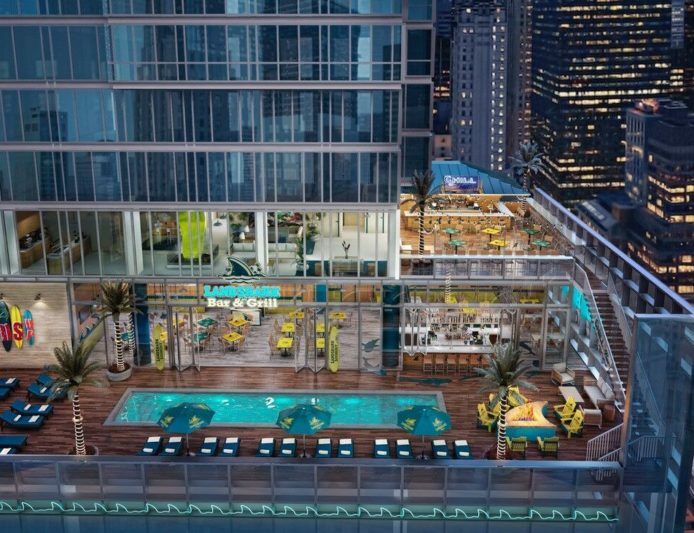 “Margaritaville at 560 Seventh Avenue is a perfect addition to the pulsing energy of the Times Square submarket, which continues to thrive as one of the city’s most visited neighborhoods,” said Sharif El-Gamal, chairman and chief executive officer of Soho Properties. “We are thrilled to collaborate with one of the world’s most beloved brands and bring New York’s first Margaritaville to Times Square, where it will undoubtedly be a top destination for visitors and NYC residents alike.